The Speaker of the House of Commons, Michael Martin, made a statement this afternoon (11 May 09) on MPs’ expenses, and took a number of points of order on the subject. This must have been one of the most extraordinary performances from the Speaker’s chair in modern times. I hope that after Speaker Martin’s disgraceful performance this afternoon you will support those who are trying to persuade him to step down. 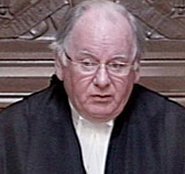 I think that most dispassionate observers feel that he has done the Commons a disservice by the way he has handled the question of MPs’ expenses and allowances from the time that it first arose in the House. But to call in the police to investigate leaks is surely now a complete misjudgement of the public’s need to trust their MPs: there are many who are beginning to wonder whether the police should rather be called in to investigate the activities of their MPs – not you, I hasten to add. And then to attack Kate Hoey and Norman Baker, two MPs making perfectly valid points of order, was completely unacceptable. I think the House has tolerated him long enough. He then curtly dismissed Patricia Hewitt, the former Health Secretary, for suggesting that “citizens’ juries” be brought in to give the discussions public legitimacy. The Speaker’s preoccupation with the leak, and his determination to bring the leaking miscreant to justice, are surely misconceived. If ever there was a ‘public interest’ defence, this has got to be it. The bulk of the information leaked was due to be published officially within a few weeks anyway, by order of the courts and the Freedom of Information Commissioner, despite fierce opposition from the Speaker on behalf of most MPs — not however including Kate Hoey or Norman Baker, both of whom have consistently spoken out against the attempt to keep the information under wraps (nudge, nudge). The part of the information that was still going to be withheld was the addresses to which the expense claims related. But if we had had the information on claims without the addresses, one of the worst of MPs’ abuses — constantly changing the ‘second homes’ for which expenses were claimed — would have been hidden from view. It’s difficult to imagine a jury convicting whoever was responsible for outing this shabby behaviour, verging on corruption, by a considerable number of MPs. MP after MP now declares that ‘the system is rotten’: even Mr Speaker Martin accepts that it will have to be changed. But the real offence that has roused such public anger and contempt is not so much the rottenness of the system (although that too) as some MPs’ extensive abuse and exploitation of that system for personal gain. If the Speaker can’t understand that key point, it’s hard to see how he can exercise his leadership role in a way that will gradually restore a degree of public confidence, not just in individual MPs but also in the parliamentary system, and ultimately in politics itself. If anyone doubts the depth of public disillusionment, he has only to read the ferocious comments on an earlier blog post of mine in Ephems, reproduced in Labour List, in which I ventured to suggest that MPs were relatively poorly paid. If I were an MP, some of these comments would surely drive me to ask for extra police protection — at the taxpayers’ expense, of course. Stop press: tomorrow’s batch of fresh revelations by the Daily Telegraph will apparently include a claim by a prominent Tory MP for repairs to his moat. His moat! As for the Speaker, as usual my wife has succinctly said it all. Oh poor Kate Hoey. The disgusting Hoey who chairs the Countryside Alliance bloodsports organisation alongside Tory PPC Simon Hart, an organisation dediecated to bringing down our Labour government. Hoey who stabs her own party and collegues in the back on an almost daily basis, who writes for the Torygraph and thinks ripping animals apart for fun is so wonderful. Please spare us from crying over that truly nasty piece of work who is a disgrace to our party. Brian writes: I disagree with Kate Hoey on hunting (and sometimes on other matters), but that clearly has nothing whatever to do with the rights and (especially) wrongs of a supposedly impartial, non-party Speaker, who is supposed to represent the whole House and not any one party, launching a bitter, sarcastic, personal attack on an individual Member without the slightest provocation or justification — and preventing her from replying or otherwise defending herself. Such behaviour is unprecedented in modern times and is surely unpardonable. On Newsnight that evening Ms Hoey was notably gracious about the incident, saying that she felt sorry for Speaker Martin (which is more than I do). “Crying over” Kate Hoey doesn’t come into it. I think Michael Martin was quite right to tell the silly Hoey to shut up. The Telegraph (which she writes for, trash by the way and which has not been mentioned in the press) has been passed stolen information containing a great deal of personal and financial info on all MPs. It is his duty to call in the police, regardless of all the media hype and indignation over the expenses issues. In my view this whole business has been orchestrated by the Tory media to try and bring about an early general election. I wish more people in my party would realise that instead of defending Tory stooges like Hoey. Hoey has her own agenda and it is certainly not one that is designed to help Labour. Brian writes: And I wish that people in my party — the same party as yours — would stop trying to justify the shameful attempts by MPs of all parties, including ours, and including the Speaker, to suppress the evidence of widespread financial dishonesty and corruption by members of all parties, and trying also to put the blame on those who have campaigned relentlessly to expose it. For a self-proclaimed Labour Party member or supporter to claim that the whole thing has been orchestrated by the “Tory press” for party political point-scoring brings our party even further into disrepute. For once we owe a debt of gratitude to the Daily Telegraph, and to whoever provided it with this grubby information, key parts of which the majority of MPs of all parties were intending to keep permanently under wraps. Brian, although a regular reader of your blog I’ve not previously attempted to offer an opinion. On this topic of the MPs’ conduct and Martin’s reaction to it I have smoke coming out of my ears! I fully share the view of Mrs Barder and yourself on this one. His conduct has been disgraceful. Whatever Kate Hoey’s views and conduct on other matters, she deserves to be supported on this occasion. Regarding the leaking itself and any possible political chicanery behind the move, it has exposed a culture so utterly venal that I consider the leaking justified. In my view (writing as a recently retired public servant) the system of having the insiders setting their own rules and then grossly abusing them has something of institutionalised corruption about it. That’s a strong term but I find it running through my head every time I read about these shenanigans. So, I find the small ‘crime’ of leaking justified in exposing the far larger ‘crime’ of what has taken place. That the Speaker has reacted the way he has is mind-boggling and utterly shabby. Brian writes: Many thanks, John. You have summed it all up very succinctly and I entirely agree with everything you say.”[T]he system of having the insiders setting their own rules and then grossly abusing them has something of institutionalised corruption about it” is perfect. Similarly “I find the small ‘crime’ of leaking justified in exposing the far larger ‘crime’ of what has taken place“. I hope that you’ll be offering many more comments on this and other subjects from now on! I find the whole ghastly episode deeply disturbing. The action appears to be being driven by the Daily Telegraph (ably assisted by the BBC) for somewhat unclear motives. The hacks must have known for years what some dishonourable members have been getting up to on the side. The dirt was bound to come out in the not too distant future. I hope this carefully calculated campaign is not a campaign to destabilise Westminster or a plot to fill the place with UKIP, or worse. It is going to take a lot of careful thought to rescue Parliamentary democracy from this debacle. Perhaps the doomed Speaker was only trying to stick his Caledonian finger in a hole in the dyke in order to defer the inevitable tragic deluge of muck.